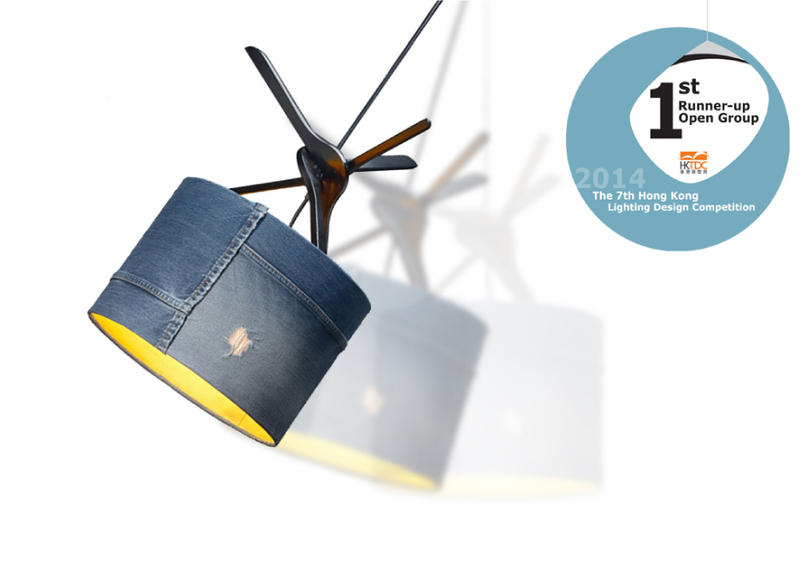 This Jeans Reborn pendant is awarded as the first runner-up of the 7th Hong Kong Lighting Design Competition in open group category. As jeans are always full of characters and uniqueness, recycled jeans not only seldom repeated but also could save the landfill. Furthermore, jean itself is durable and tough which is an excellent material as lampshade, with interesting hanger structure, making it always look young, stylish and give a strong statement of sustainability.